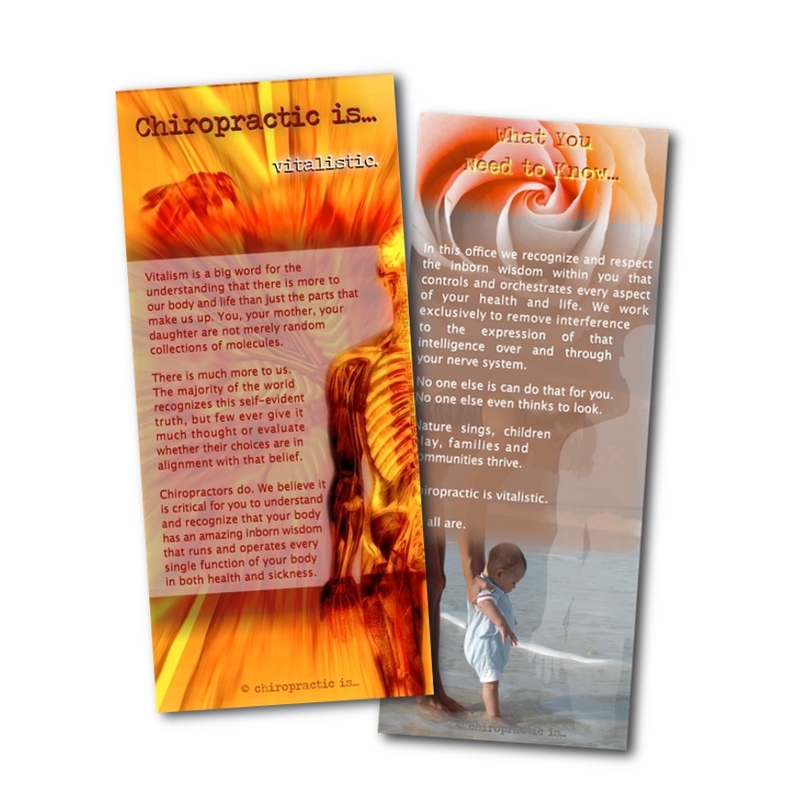 The chiropractic is… about intelligence brochure has two purposes. 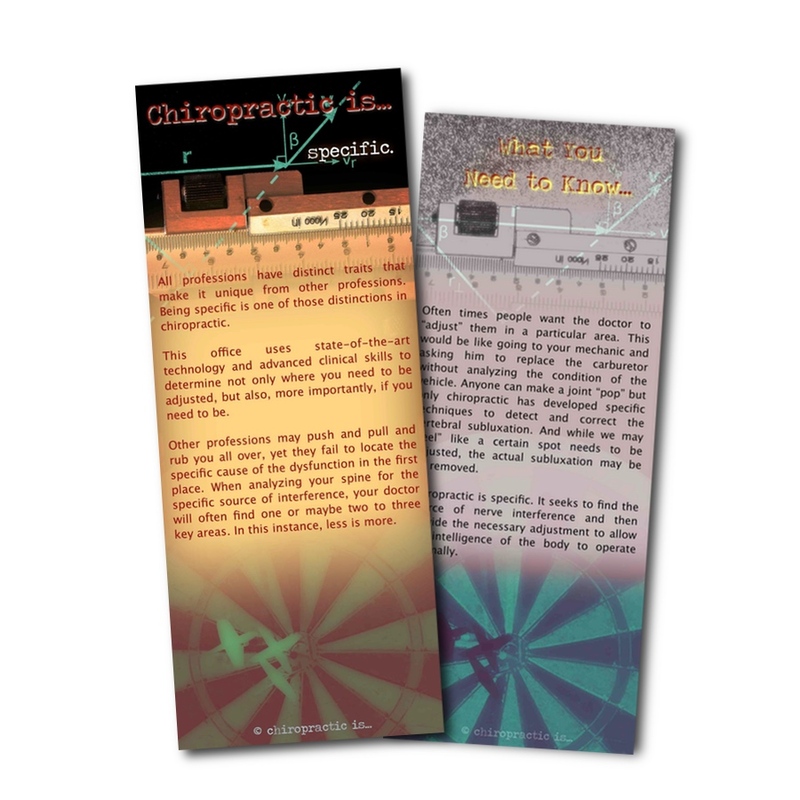 The first purpose revolves around the repetition of our core vitalistic message. Repeating messages in various ways is important for different types of people to understand those messages. It also serves as repetition without becoming boring or overtly repetitive. 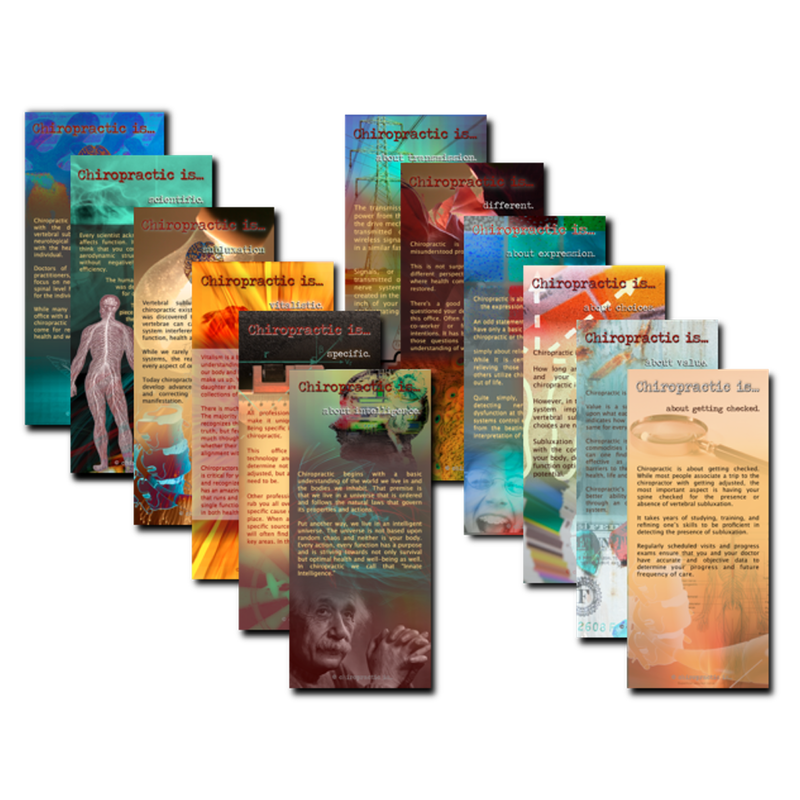 It clarifies what we mean by Universal and Innate Intelligence and provides a great opportunity for discussion with the doctor. 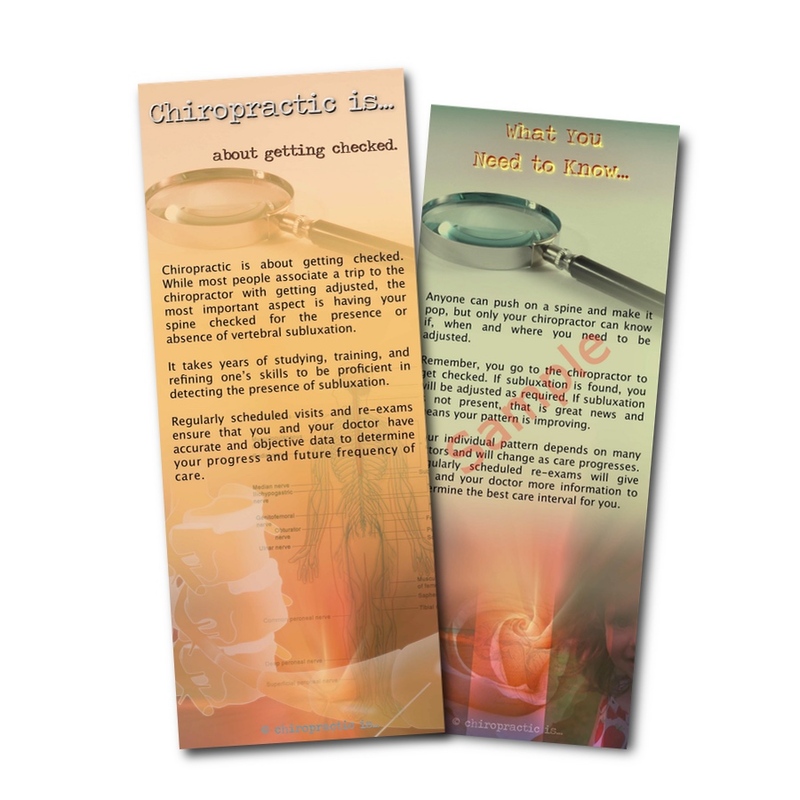 The second purpose is to link your practice member’s choice to seek chiropractic to an intelligent one. 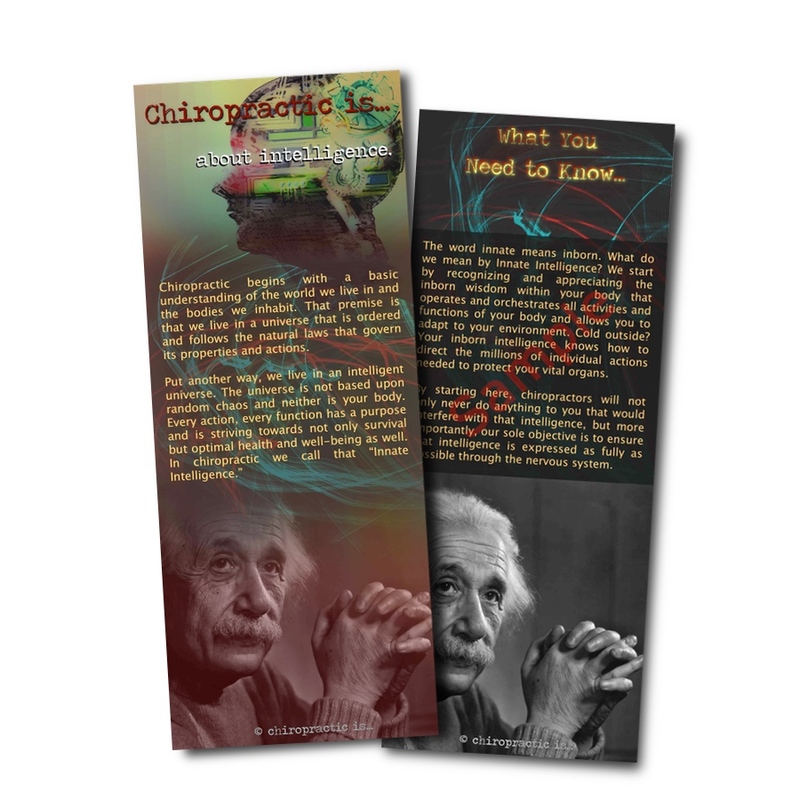 When they read the title and see the imagery of Albert Einstein, the natural association is that chiropractic is a rational, logical, intelligent choice. Which of course it is!